not comply with Australian Standards tolerances for open joint flame paths. 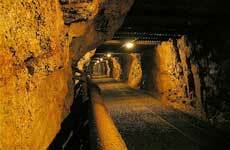 supplying diesel machines to Queensland underground coal mines. certification requirements or is likely to create an unacceptable level of risk.